I’ve said “Hello” to autumn with this work this year! I had a creative make-up presentation at the event of Beauty Forum Hungary 2017, on the make-up stage. I presented my favourite theme, I created a doll designed and painted in the colours of autumn. I selected the red, lilac, tan and orange together, so the image of the nature as becoming calm and peaceful, was filled with life and energy by the warm tones. Even the lips were red and shiny, full of glister, as mellow grapes are also representing the promise of light instead of passing away. The tones of the make-up fit into the colours of the dress and the headpiece. I intended to sort everything into harmony and unity, I wanted to use this as a message to the audience when my model was coming to the stage. 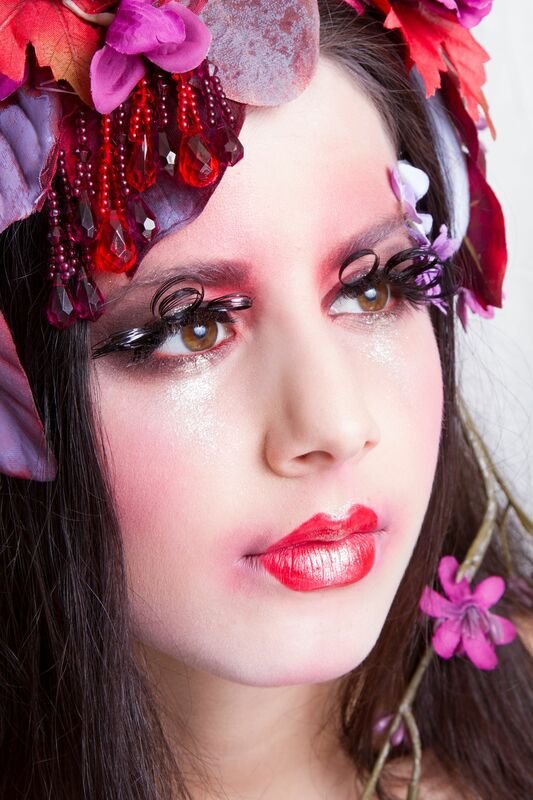 The extraordinary lashes, the light blending around the mouth and the round shape and red tone of the lips accented the theme. I gave birth to a vibrating doll full of frippery and life. I sticked only a few piece of flowers onto the face this time. 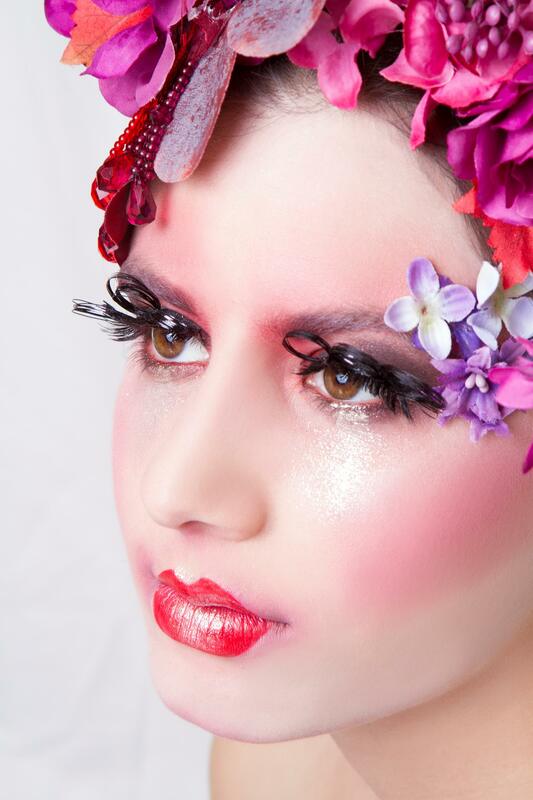 I did not want to apply too much decoration in the make-up as the design was so strongly ornamented. The style dominated in the creation and the face could keep its innocence and stay young and naive. So as the headpiece and the dress are so decorated, full of flowers, leafs, tulle and every piece of autumn, we had quite enough accessories to represent our theme, Doll.